A total of 46 charities received funding boosts over the first half of 2017. Cash boost: Awards range from £2000 to £100,000. Scotland's third sector received a major funding boost in the first half of 2017, with 46 charities sharing grants worth more than £830,000. 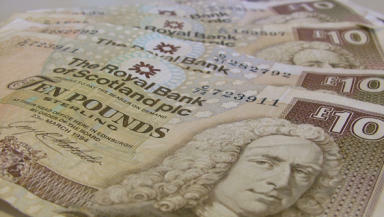 Voluntary groups applied for awards through the Bank of Scotland Foundation's small, medium and large grants programmes. The awards range from a £2000 grant for Falkirk and Central Scotland Samaritans to help with heating and lighting costs, to £100,000 given to Govan Law Centre to provide an outreach financial service for vulnerable people. This is the third year the foundation has accepted applications for large grants of up to £100,000. They are awarded annually and provide charities with steady, reliable funding over a longer period. Five charities across Edinburgh and Glasgow received a large grant over the six months, totalling £443,896. The foundation provides funding for costs such as salaries, rent or running costs, giving charities stability in an increasingly challenging environment. In 2016, most of the charities which received funding used it to pay for core costs, which bosses say is unlikely to change in the current financial climate. Philip Grant, chairman of the foundation's board of trustees, said: "Bank of Scotland Foundation is delighted that our small and medium grants programmes have continued to help so many Scottish charities in the first half of this year - most of whom have used the funding to cover core costs vital in providing a service to their local community. "Our annual large grants programme continues to attract some excellent proposals for longer term funding across a wide range of projects; from supporting vulnerable people with complex needs, to those that support young families or people with dementia. "The fact that we can provide successful applicants with steady and reliable funding over two years makes a huge difference to their projects. "We're proud to be able to help support the great work that charities do for their communities across Scotland and look forward to awarding further grants later this year." Applications for the final tranche of the 2017 small and medium grants are now open and charities have until noon on October 6 to send in their bids. The 2018 large grants programme will open in early January 2018.